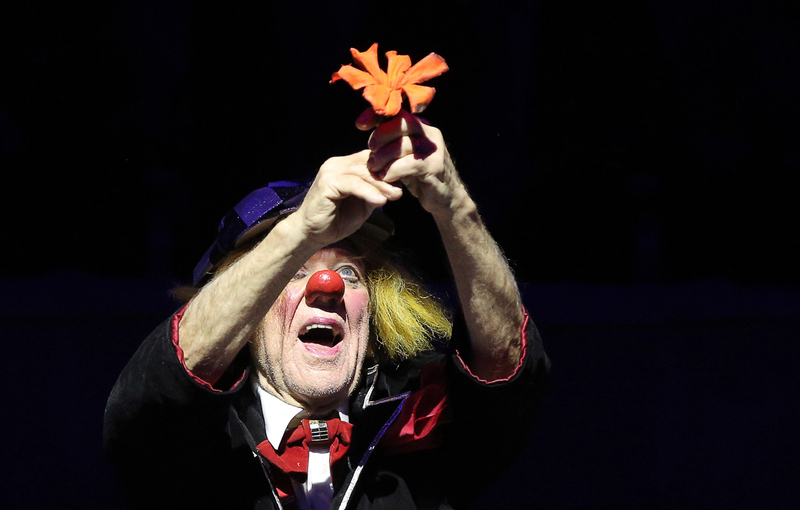 Clown Oleg Popov performs during the premiere of his show May there always be sunshine! at the Bolshoi St. Petersburg State Circus on Fontanka. Internationally renowned Russian circus clown Oleg Popov died on Nov. 2 at the age of 86 instantaneously during a performing tour in the southern Russian city of Rostov-on-Don, the Director Gerenal of Rosgostsirk state circus company, Dmitry Ivanov told TASS. "He was feeling well, he was watching TV at night and all of a sudden this happened," Ivanov said. Popov lived in Germany for a number of years. "We'll discuss with his relatives where the final farewell ceremony will be held," Ivanov said. "Quite possibly in Russia. We don't know anything regarding his will on this matter yet. He will most probably be buried in Germany." An open-casket funeral service for those willing to pay their last respects to Oleg Popov will most likely be held in the Rostov-on-Don circus on Nov. 7, Ivanov said. "Immediately after that, the casket will be delivered to Germany."